Click (2010) delves into the miraculous topic of quick-set intimacy and explores what’s at work when we’re instantly drawn to some person or thing. 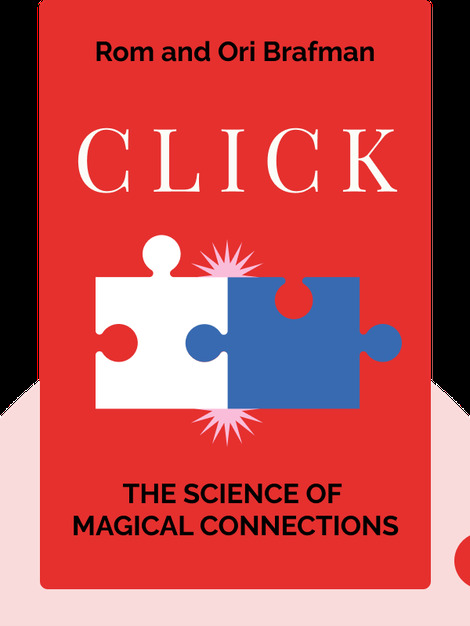 It examines how and why clicking makes our life more meaningful and outlines the (very ordinary) factors that can make such “magical” connections more likely. 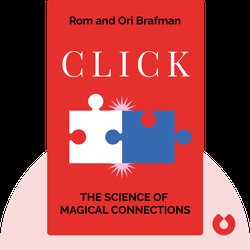 Together, brothers Ori and Rom Brafman have authored two New York Times bestsellers – Sway and Click. When not writing, Ori Brafman is an organizational business consultant and the co-founder of a network fostering peace and development projects. Psychologist Rom Brafman won awards for excellence in teaching and promoting positive human growth. He has a private practice in Palo Alto.